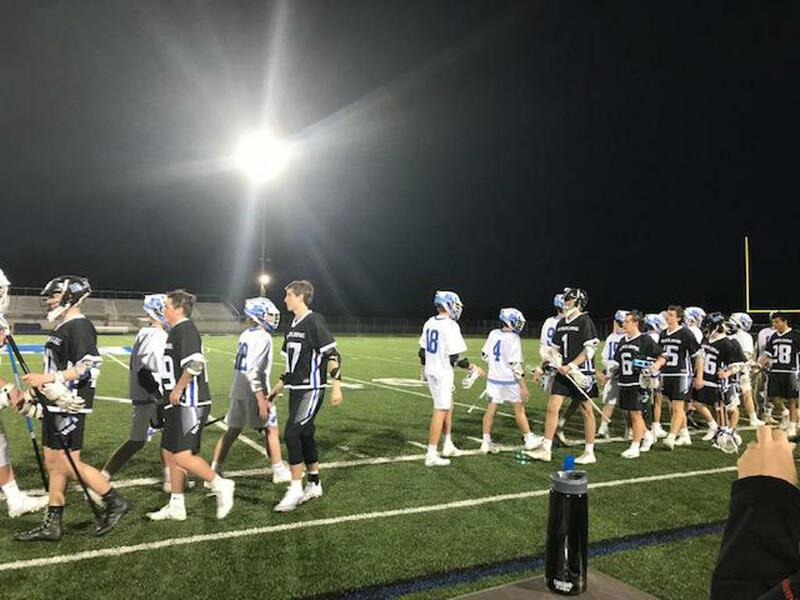 The Kilbourne Wolves left no doubt in the first ever match-up with OCC newcomer Olentangy Berlin Tuesday night (4/9), beating the Bears 15-0. The Wolves dominated possession and dictated play in all aspects of the game. The Wolves move to 6-1 overall on the season. Kilbourne scored 4 goals in the first quarter but shots off cage and missed chances limited what could have been an even larger tally. Kilbourne sharpened conversions in the second quarter with simple plays and clean passes to net 6 goals and take a 10-0 halftime lead. From there the game was never in question. The game also allowed Kilbourne to run a deep bench. 7 different Wolves scored in the game and defense kept up pressure throughout and took pride in preserving a shutout. All three goalies also played in the game. A key highlight, was the Wolves were penalty free. Early in the season, costly penalties hurt Kilbourne in big spots. The Wolves stayed disciplined tonight, playing aggressive but smart as the team solidifies. A special nod to Olentangy Berlin competing as a new school in the OCC. The future is very bright with Coach Alexander at the helm and kudos to the Bears goal tending tonight with a lot of great saves under heavy fire. The Wolves travel to Hilliard Bradley Thursday night. Kilbourne JV also blanked Olentangy Berlin Tuesday night winning by a score of 13-0. Eight different Wolves scored in the contest with several goals in transition and open looks. Kilbourne JV is 5-2-1 overall on the season.